Cincinnati Children’s Hospital Medical Center – Ranked Number Three in the U.S.
Cincinnati Children’s Hospital Medical Center is a top-rated hospital in the U.S and was recently ranked #3 in the nation (among 200 other pediatric hospitals) and #1 for treatment of lung-related illnesses by U.S. News & World Report. The hospital placed in the top 10 for all pediatric specialties in this new ranking report. (This is the fifth consecutive year that the hospital has ranked among the top 3 U.S. pediatric hospitals.) See the report here. What’s new at Children’s Hospital? A new research tower! The building is over 200 feet tall and houses research offices, laboratories and an outpatient center. This building was funded in part by the Neil Armstrong family and the top floor is named in memory of him. Read more about The Clinical Sciences Pavilion here. Cincinnati Children’s Hospital Medical Center was established in 1883. It has grown from a small hospital to a multi-site medical center that treats and cares for children worldwide. The Cincinnati area is fortunate to have such a great hospital with fine doctors, nurses and other staff who looking after children’s health needs. 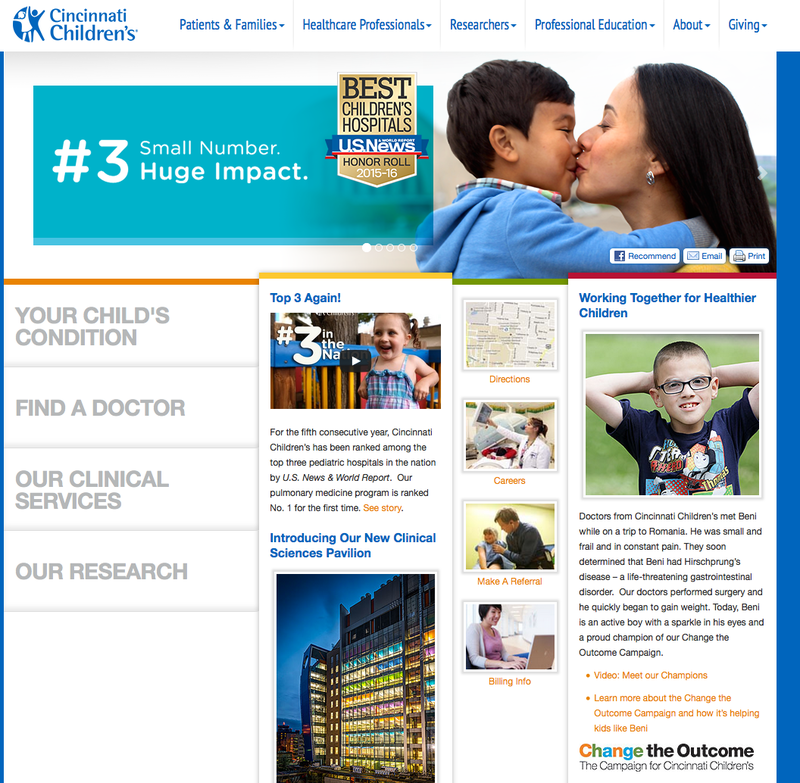 This entry was posted in Communities, News and tagged Best Children's Hospital in the U.S., Cincinnati Children's Hospital Medical Center by susanaknabe. Bookmark the permalink.